(Stafford Springs, CT)—After taking two-years off from full-time SK Modified® competition to compete on the NASCAR Whelen Modified Tour, Chase Dowling, SK Light graduate and 2015 NWMT Rookie of the Year, has returned to Stafford with vengeance. Dowling has joined forces with Adam Skowyra and the #50 SK Modified® team and has scored 2 wins, 4 top 5’s, and 5 top 10’s in 6 races. Dowling and the S&S Asphalt Paving #50 team came out of the gate strong winning the 40-lap SK Modified® feature at the NAPA Auto Parts Spring Sizzler and backing that up with another win 3 weeks later. The Roxbury, CT native is no stranger to victory lane with 10 Stafford Speedway victories to his name including 7 in the SK Light division. Slump is not a word you would use to describe Dowling’s season thus far. With 2 wins to his record in 2017, Chase and the #50 team have been contending for wins each week, thrilling fans along the way with classic SK Modified® battles with some of the best in the business including “The King” Ted Christopher. 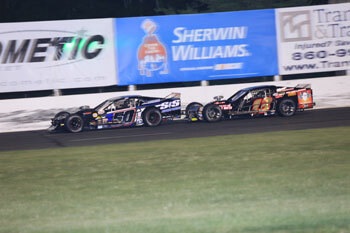 Last time out Chase battled with “TC” hard for the last 10 laps, swapping the lead multiple times. 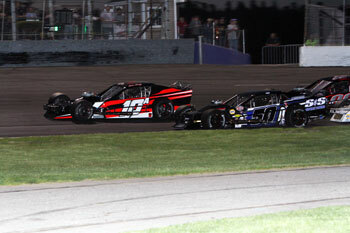 Ted took home the win but Dowling proved he belonged with the top Modified drivers in the region. Dowling has his sights set for victory lane in the biggest SK Modified® race of the season, the NAPA Auto Parts SK 5K on Friday, July 7th. 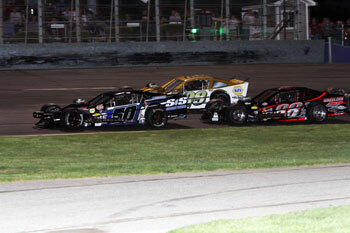 The SK Modified® division is slated to run 100 laps with $5,000 to win and over $34,000 in posted awards. The 4th annual NAPA Auto Parts SK 5K takes the green flag at Stafford this Friday night, July 7th. With $5,000 to win and over $30,000 in posted awards, the 100-lap big money race will be an event not to miss. Discount tickets for the NAPA SK 5k are available at participating NAPA Auto Parts stores. For a full list of the 71 participating locations throughout Connecticut, Massachusetts, New York, Rhode Island, and Vermont, please call the speedway office or visit us on the web at www.staffordmotorspeedway.com/participating-napa-auto-parts-stores. Tickets for the NAPA SK 5K are available and on sale now at the Speedway Box Office. Tickets are priced at $30.00 for adult general admission tickets, $5.00 for kids ages 6-14, and kids 5 and under are admitted free of charge when accompanied by an adult. Reserved seating is priced at $32.00 for all ages. All ticket prices include 10% CT Admission Tax. 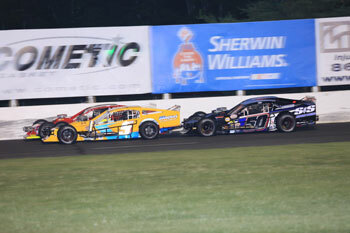 Stafford Speedway offers free parking with free overnight parking for self-contained RV’s available. There will also be a barbeque taking place on the midway with some great food available to race fans for only $10.